Global enterprises and small businesses alike are rapidly adopting G Suite to improve knowledge sharing, decision making, and collaboration. From mobile devices to desktops, these applications enable individuals and teams to perform better, faster, and more effectively. 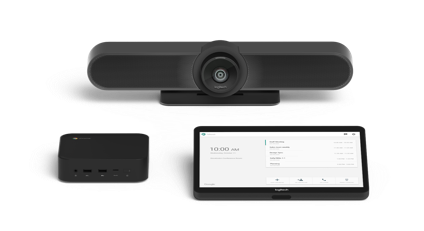 With the introduction of Logitech Room Solutions for Google Hangouts Meet, the same intuitive and powerful experiences individual users have enjoyed are now extended to huddle room and conference room environments. Customers benefit from reliable, easy-to-join video meetings, and IT teams benefit from an easily-deployable, curated set of components that work together end-to-end to deliver engaging, affordable video meetings. Developed in close partnership between Logitech and Google, Logitech Room Solutions for Hangouts Meet includes all the components necessary to video-enable any size meeting room: our new meeting room touch controller called Logitech Tap, a Chromebox qualified for Google Hangouts Meet hardware, and either Logitech Meetup for huddle room environments, or Logitech Rally for medium and large-sized conference rooms. Logitech Tap combines one-touch simplicity for users with IT and AV-friendly features like multiple mounting options, a 10-meter Strong USB cable, and robust cable retention mechanisms. To enable a wide range of deployment options, an optional 25 meter cable is also available. In addition, a Chromebox mount with cable retention easily secures the Chromebox under a table or behind a display. Logitech MeetUp is our award-winning all-in-one conferencecam, with a 120° field of view and integrated audio, perfect for small conference and huddle rooms. Logitech Rally is our premium conferencecam system, with a modular design scalable for mid-sized meeting rooms up to boardrooms. It sets the standard for video quality, voice clarity, and industrial design, and is an ideal replacement for high-cost traditional room systems. 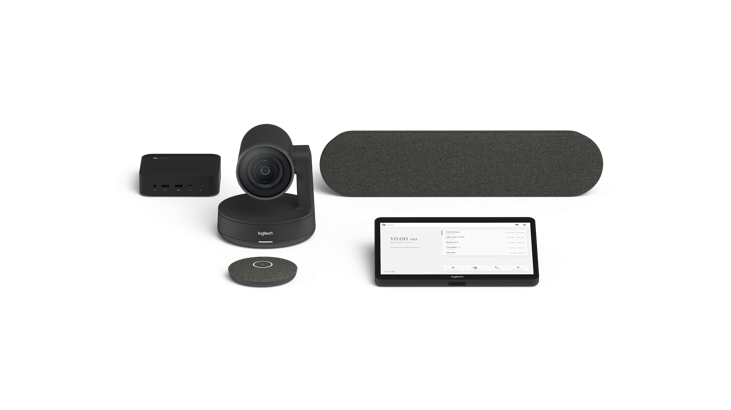 All of the Logitech Room Solutions components – including Logitech Tap, Logitech MeetUp or Logitech Rally and the Chromebox – are qualified for Google Hangouts Meet and will receive automatic updates. Logitech Room Solution Packages for Hangouts Meet are planned to be available globally from Logitech distributors and resellers in Spring 2019. The packages are scheduled to be priced in the range of $3000 for small rooms, $4000 for medium rooms, and $5000 for large rooms. Logitech Room Solutions for Hangouts Meet are on display this week in Amsterdam at ISE 2019, the world’s largest AV and systems integration show. Visit Logitech in booth 11-C110 to see a demonstration, and be sure to visit our partners who’ll be showcasing these solutions, including Google (15-U265), Pexip (11-C150), Tech Data Maverick (5-U30), and Ashton Bentley (14-N100).